Are we the only ones that find this gross? 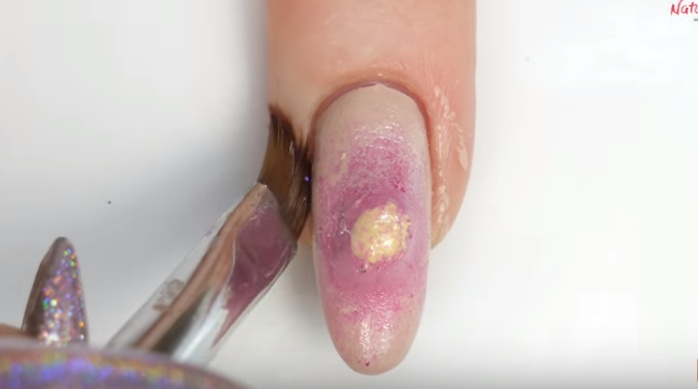 A new YouTube tutorial by Natasha Lee was shared on social media yesterday which shows a very... different kind of nail art. Sure, we're used to seeing unicorns and rainbows fill our feed, so when we saw this we couldn't help but gag a little. Say hello to pimple popping nail art. Yep, the latest trend for Halloween (or if you want to gross your friends out) is having zits on your finger nails with actual pus coming out of it. Except, while we were rather put off by the whole thing, it seems the Internet is satisfied by it, with many comments praising it for being "genius." One YouTube user wrote: "This made my day. Love it," while another said, "Get in there! Squeeze a bit more!" We'll admit the the special effects are very good... we just won't be walking around with them on our nails anytime soon.